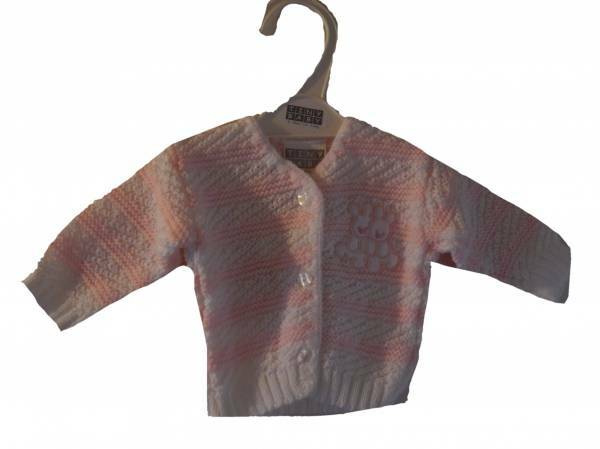 tiny baby clothes in 5-8lb pretty too premature cardigans stocked here.your baby Girl will feel relaxed and look sweet wearing one of these special premature babies knitted cardigans.Add over a sleepsuit for a completed outfit. machine knit, generous sizings giving baby some extra room to grow. These are like a stretchy knit compared to other cardigans we stock. warm wash 100% acrylic baby wool click the green button below to order one now.